Since we released v1 of fmSMS many years ago we’ve been approached by customers from all around the world to work on integrations between FileMaker and other APIs (Application Programming Interfaces). Customers love using FileMaker to send and receive SMS/TXT messages, but they have also asked us to help them send faxes, MMS/Picture messages and to make outgoing voice calls from their FileMaker solution. 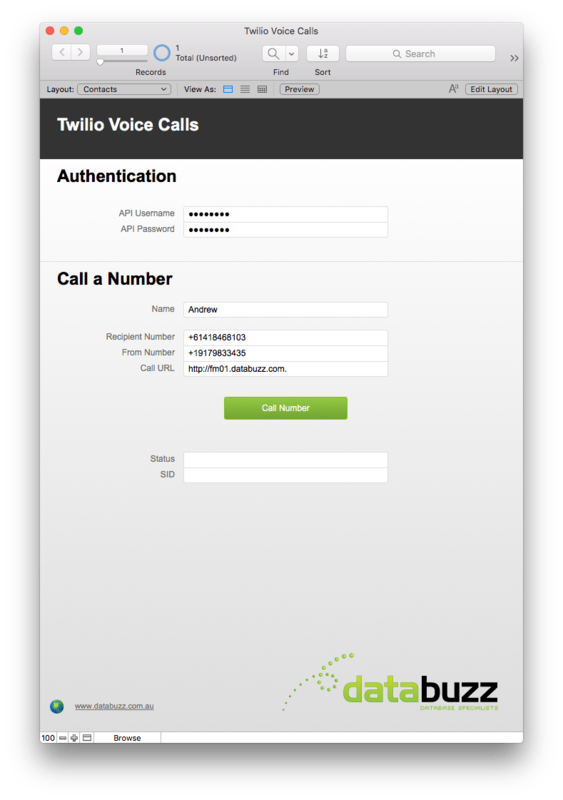 If you would like to discuss integrating voice calling into your FileMaker solution please get in touch.